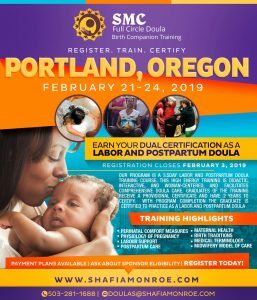 This training is for health care professionals, doulas, community health workers and interested persons, who seek to learn cultural competency in a manner that preserves the dignity of individuals, families and communities, and examine the issues of power and oppression to create systemic change for improved maternity care. According to Alhusen, J. L., Bower, K., Epstein, E., Sharps. (2016), health care that ignores cultural differences and is bias affects quality of care in the US maternity care system. The training is built on popular education, case studies, PowerPoint, and lecture, to aid health care professionals in understanding the role of bais, health literacy, and cross cultural knowledge for health equity in the delivery of care. Attendees who complete the training receive a Certificate of Attendance.